Arles delivered a lot for Vincent. There he completed nearly 200 oil paintings . Van Gogh worked feverishly and his skills advanced at a fast pace. 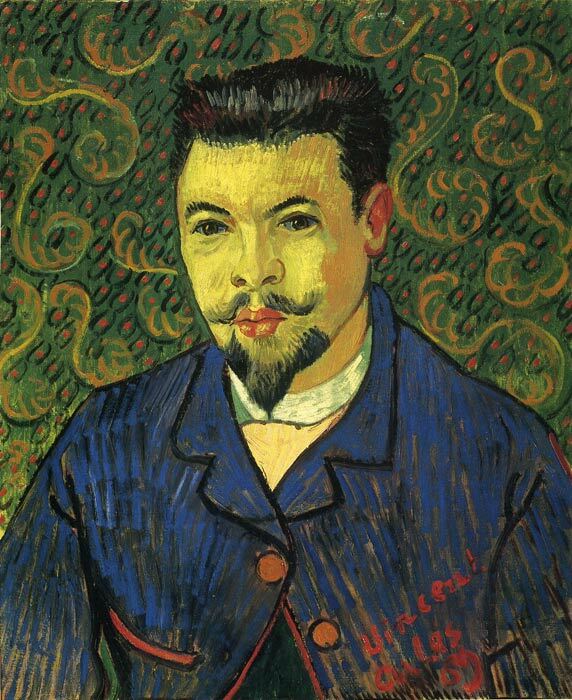 Vincent van Gogh developed a unique style of intense, active brushwork and saturated, complementary colors. In Arles, van Gogh painted his most famous paintings , such as The Starry Night, his sunflowers, and his portraits of local residents , like Portrait of Dr Ree and his self-portraits. SPECIAL NOTE : The painter will make the reproduction as close to the original oil painting as possible. If you want your painting to alter from this likeness, please email us and " Portrait of Dr Ree, 1889 " will be reproduced according to your special requirements.